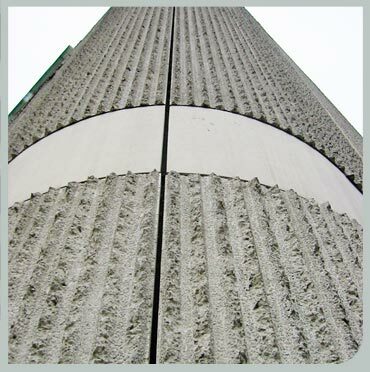 STRESS UK are experts in structural concrete repair and the strengthening of concrete structures. We use the latest technologies and materials including carbon fibre and kevlar. We provide clients with a full structural analysis, testing, reporting and specification for structural concrete repair and strengthening. Conventional repair of R.C. structures using the latest techniques with cementitious and epoxy based products, which are covered by the ASUC+ 12 Year Guarantee. Halting and preventing corrosion of reinforcement in R.C. structures results in significantly reduced maintenance costs. Stress UK provides corrosion inhibiting coatings together with implanting of capsules in the structure to protect the concrete reinforcement. Reinforced concrete structural elements such as beams, slabs, floors and walls can be cost effectively strengthened using either steel or carbon plate bonding. Carbon wrap will strengthen columns whilst kevlar will increase impact resistance and glass fibre sheet bonding will increase flexural capacity.